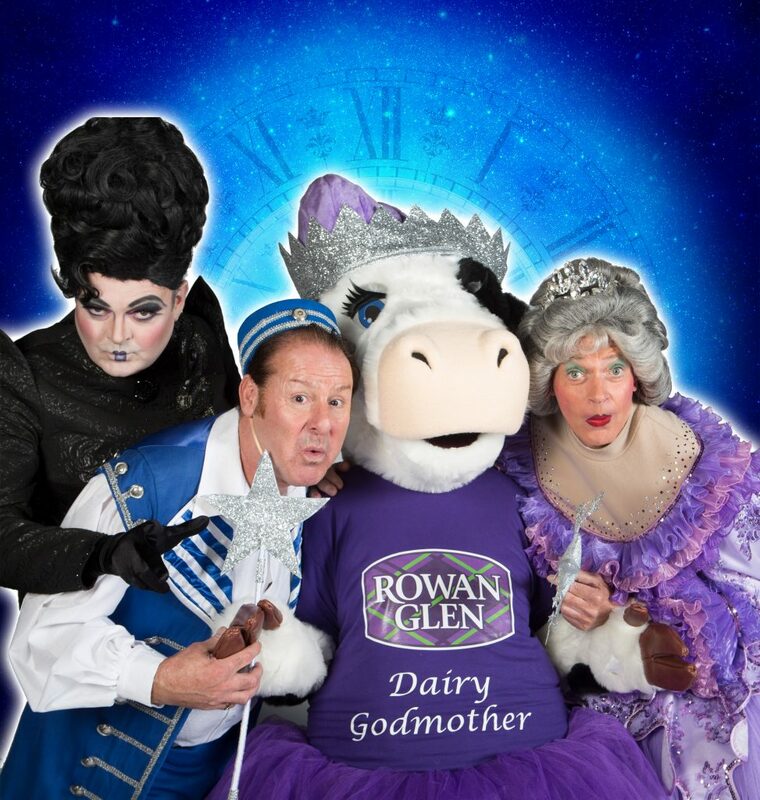 With over 70,000 tickets already sold, Rowan Glen, one of Scotland’s much loved dairy brands, has been announced as the official sponsor of the King’s Theatre Edinburgh pantomime title, Cinderella. The partnership was launched with a first look at the stars in their costumes for this year’s family extravaganza. Resident dame Allan Stewart, who plays the Fairy Godmother, resident ‘eejit’ Andy Gray who plays Buttons and resident villain Grant Stott who plays the Wicked Stepmother, were joined by Donny Gillies, Rowan Glen Commercial Manager and Bonnie, the brand’s mascot, to get the party started on Scotland’s biggest panto.